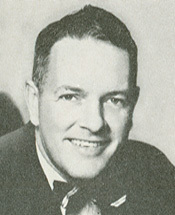 Rep. Otis Pike, D-New York. Former Rep. Otis Pike died Monday at the age of 92, stirring recollections of his courageous efforts in the 1970s to expose abuses committed by the CIA, a struggle that ultimately bogged down as defenders of state secrecy proved too strong, as ex-CIA analyst Melvin A. Goodman writes. publicadas por Carmelo Ruiz a la/s 9:17 p.m.